George Washington was the first to bring the war to British shipping when he authorized seven "Cruisers" to capture British supply ships. Individual states built small navies to protect their coasts and to harass their British tormentors. 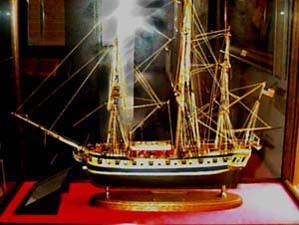 Connecticut's navy of 10 ships, including the 20 gun Oliver Cromwell, built in Essex on the Connecticut River, was moderately successful. Oliver Cromwell was ordered to be built in January 31, 1776. Cromwell, as one of the people responsible for the execution of King Charles I, represented freedom against the king.